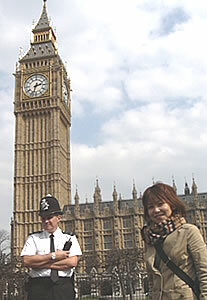 The pictures on this page were taken during sightseeing bus tours of London by visitors from Peru and Japan. 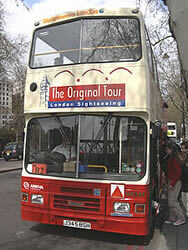 The tours were jump on / jump off services with the company The Original Tour. Each ticket is valid for 24 hours. For full practical details and to buy a ticket, see: Travel/Tours/Company/TheOriginalTour. 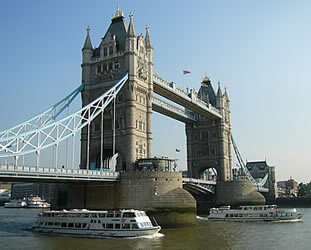 You can also use your ticket for a free boat cruise on the River Thames. 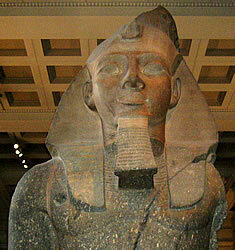 For photos of this, see: Travel/Tours/London/Cruise. 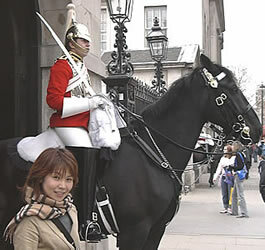 The information on this page will help you to plan your day of sightseeing in London. 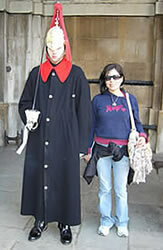 Madame Tussaud's Madame Tussaud's is a famous museum with wax models of famous people. See how many you can recognise! There is often a long queue to get in, but you can save time by buying a ticket in advance. 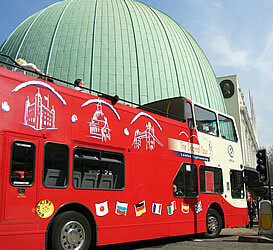 The London Planetarium Next to Madame Tussaud's is the London Planetarium. You can learn about the stars and planets here. Regent's Park A few minutes' walk from Madame Tussaud's is Regent's Park, a very attractive park. 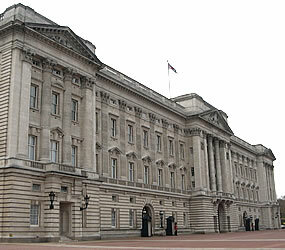 The land is owned by the royal family but can be visited free by the public. You can enjoy a walk around the lake and gardens. In the summer there are often free musical performances, or you may want to buy a ticket for one of the open air theatre productions. London Zoo On the northern side of Regent's Park is London Zoo. As well as meeting many different types of animals you can learn about conservation. 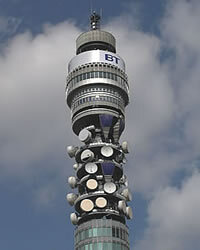 The BT Tower is a communications tower. 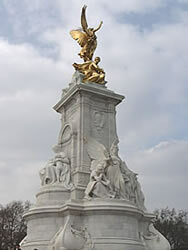 It is a well-known landmark which is visible from many parts of the city. Many years ago it used to be possible to go to the top to have a meal while enjoying the views, but the public cannot enter the building these days. 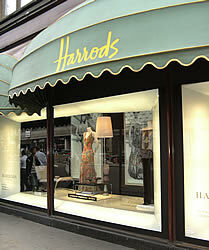 Hold onto your bag carefully while shopping - thieves often target tourists in this area. 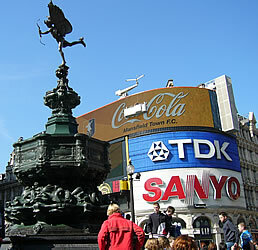 Piccadilly Circus The intersection of Regent Street, Piccadilly and Shaftesbury Avenue. 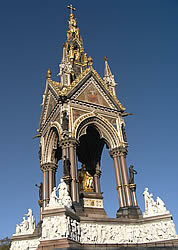 The fountain is a memorial to the Earl of Shaftesbury, topped by a statue of the Angel of Christian Charity. Trafalgar Square In the middle of Trafalgar Square is Nelson's Column, surrounded by four lions and two fountains. 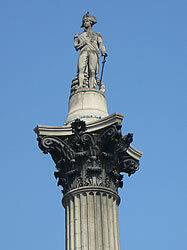 Nelson was the British naval commander who defeated Napoleon's fleet at the Battle of Trafalgar (off the coast of Spain). Free public events often take place in the square, especially at weekends. 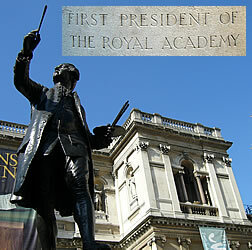 For more information see: Travel/Tours/London/TrafalgarSquare. 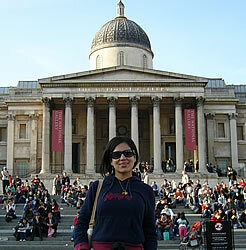 National Gallery The National Gallery is an art gallery containing many famous European paintings. Entry to the permanent collection is free. 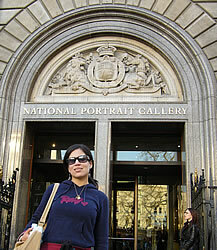 National Portrait Gallery The National Portrait Gallery contains paintings and photographs of people. Entry to the permanent collection is free. 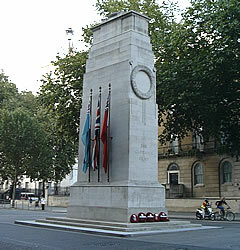 Cenotaph This war memorial is the focus of a special ceremony each year on Remembrance Sunday. Downing Street The British Prime Minister lives in this road (at "number 10"). 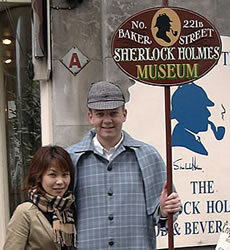 You cannot visit here, but you can have a quick look through the security gates and take a photo of the street sign. 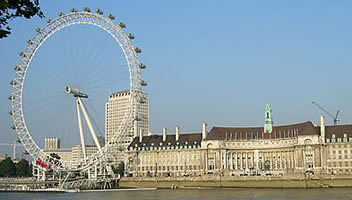 London Eye You can enjoy lovely views of London from this large wheel. A ride (one revolution of the wheel) takes about half an hour (you may need to queue). 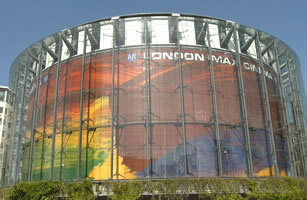 IMAX Cinema Watch a film on the huge screen at the London IMAX cinema. Some 3-dimensional films are shown (you need to wear special glasses for these). South Bank Centre If you go for a walk along the south bank of the River Thames you will pass in front of the South Bank Centre: a series of buildings for the arts, including classical music, dance, films or plays. 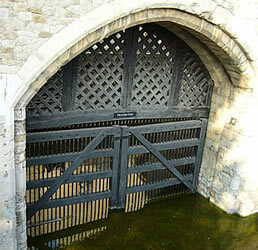 During the summer there is often some kind of free entertainment in this area. 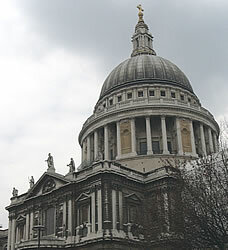 St Paul's Cathedral A magnificent church designed by Sir Christopher Wren. If you have time, climb to the Whispering Gallery in the dome at the top. 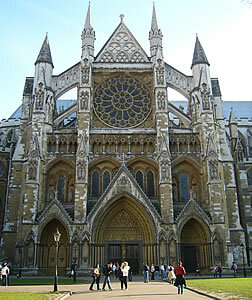 There is an entrance charge for visitors (it is free if you attend one of the services). Bank of England This is part of the financial district known as the City of London. The Monument A large stone pillar which was put up after the Great Fire of London (1666), near the place where the fire started. You can climb the steps for good views of the city. Globe Theatre This is a copy of a theatre where William Shakespeare staged his plays. Tate Modern A gallery of modern art. Entry to the permanent exhibits is free. There are excellent views from the upper floors. 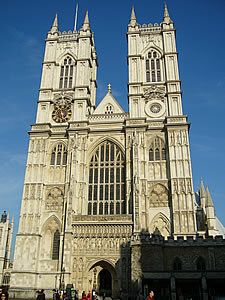 Westminster Abbey Westminster Abbey contains graves of many famous people and has been used for coronations and royal marriages. 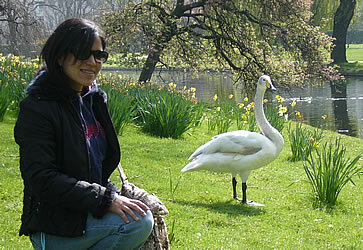 St James's Park Enjoy a walk through the park and by the lakes. 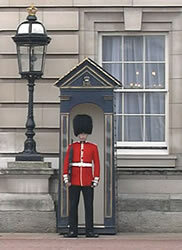 You can also visit the Guards Museum nearby. Green Park Enjoy a walk through the park. 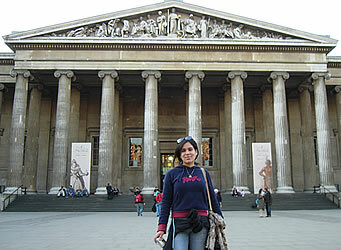 British Museum World-class museum. Entry is free. 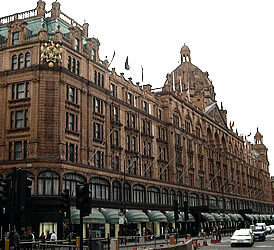 Harvey Nichols A well-known department store on Knightsbridge. 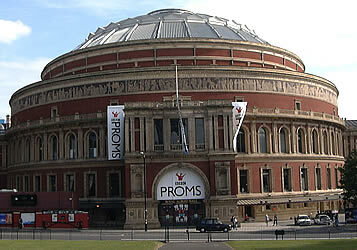 Royal Albert Hall Large circular concert hall, most famous for the summer series of classical concerts called the Proms. 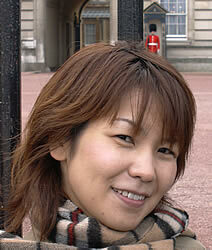 Kensington Palace Palace with attractive gardens. 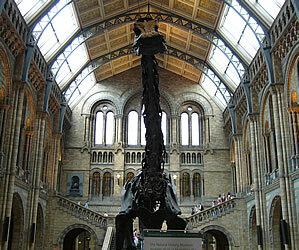 Natural History Museum Museum about the natural world. Entry to the permanent collection is free. Science Museum Museum about science. Entry to the permanent collection is free. 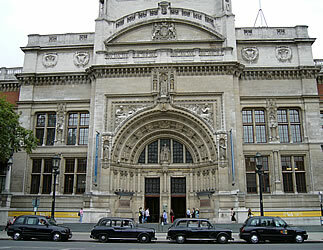 Victoria & Albert Museum Decorative arts museum. Entry to the permanent collection is free. "This is one of the world's truly great capitals, a city the world revolves around, and home to more sights than virtually any other metropolis. It's exhilarating, irrepressible, intimidating and brimming with spectacle and possibilities. It can be different things to different people but always in abundance. 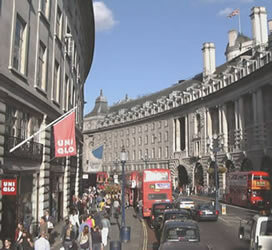 In fact, it's the quantity of its qualities that make London such a vital destination. 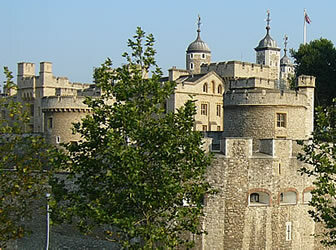 Not only is it home to magnificent historical architecture and such familiar landmarks as Big Ben, the Tower of London, and the timeless Thames, London is a cornucopia of cultural wealth, boasting some of the greatest museums and art galleries anywhere. What's more, since 2001, most of these treasures are ours for free"